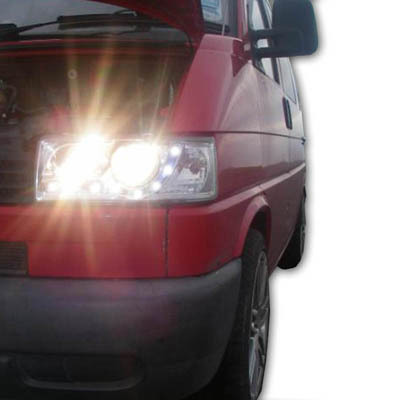 These replacement headlamps offer a simple but affective modification which will add character to anyones van. 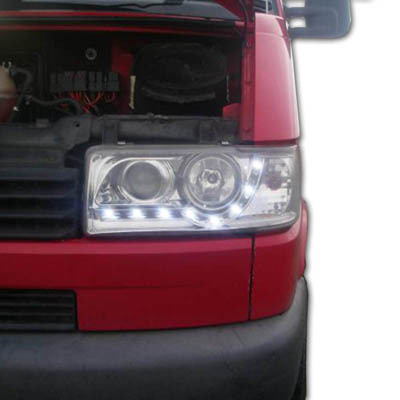 These particular lights are suitable for all right hand drive long nose T4 transporter models. 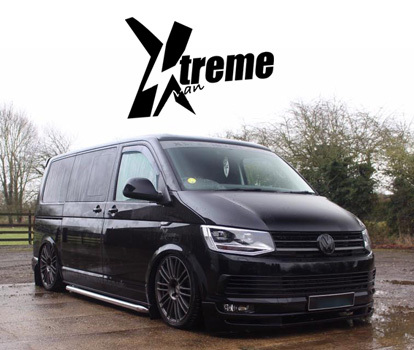 Supplied with an E mark, which makes them fully road legal and with all the necessary brackets. They also have the 'bubble' on the indicator making them fully road legal. Please note: These lamps are manual levelling. 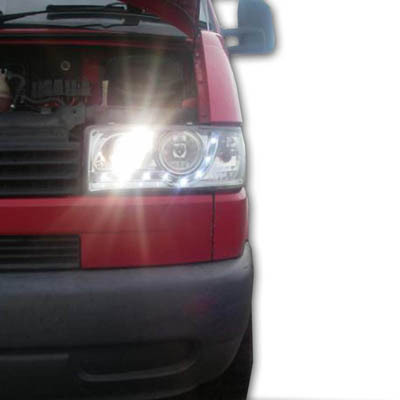 If you have headlamp levelling that can be adjusted from inside the vehicle, you will no longer be able to use it. 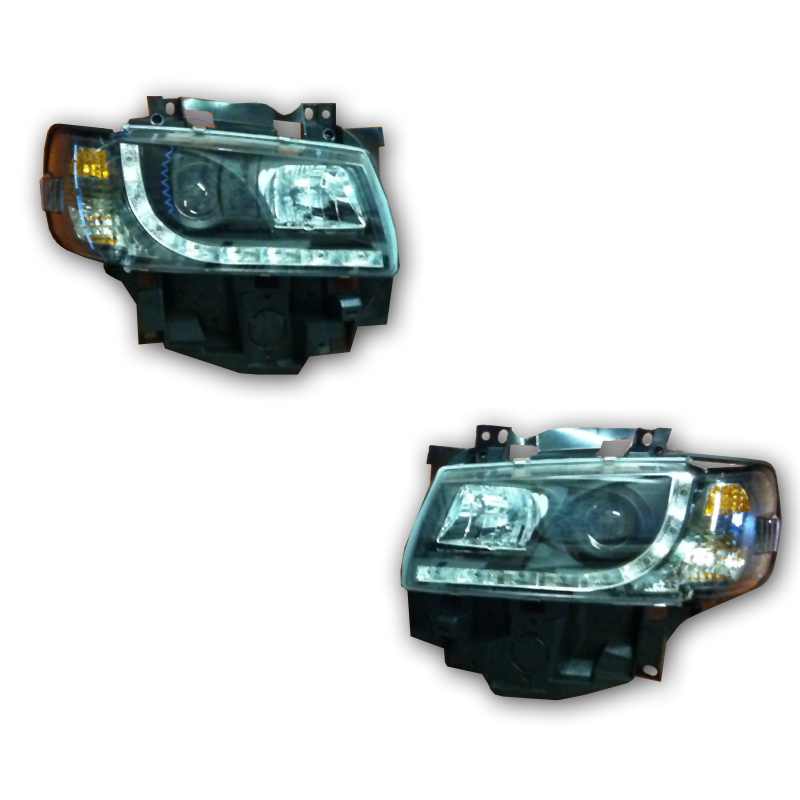 Also, the DRL strip will only work as DRL's with our wiring kit XT222. Without the extra wiring you will have to turn your side lights on. Please see the 'we also recommend' section at the bottom of the page for more information. This is what you will see when the ignition is switched on. No lights switched on. Only the front lights will illuminate. 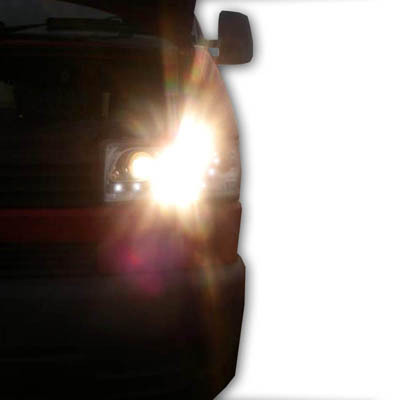 When the lights are switched into side lamp position the LED strip will stay on and the rear lights will turn on. This is what you will see when the lights are in the dipped beam position. This is with the light switch in the full beam position. Again, another angle with the lights in the full beam position.